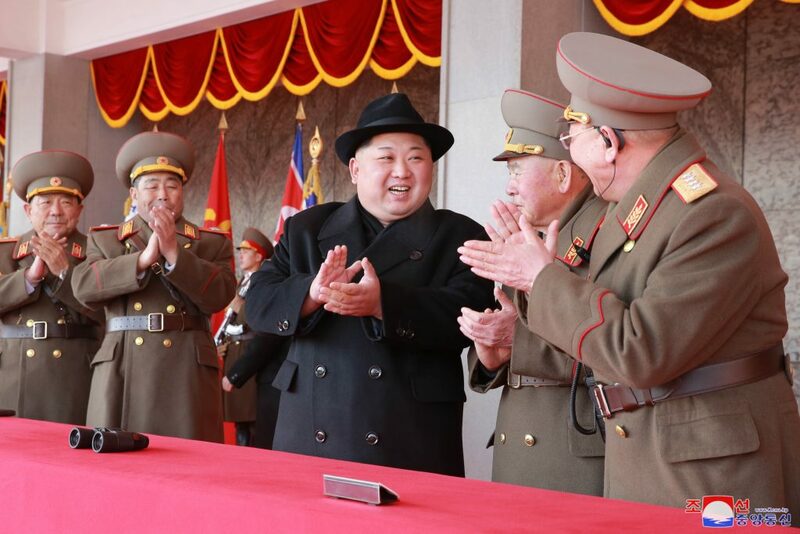 During a Feburary 8, 2018 parade in Pyongyang, Kim Jong Un smiles and applauds with top four members of the KPA command: (L-R) Minister of the People’s Armed Forces Gen. Pak Yong Sik, KPA General Political Department Director VMar Kim Jong Gak, Chief of the KPA General Staff VMar Ri Myong Su and KPA General Staff Operations Bureau Director Gen. Ri Yong Gil (Photo: Rodong Sinmun). 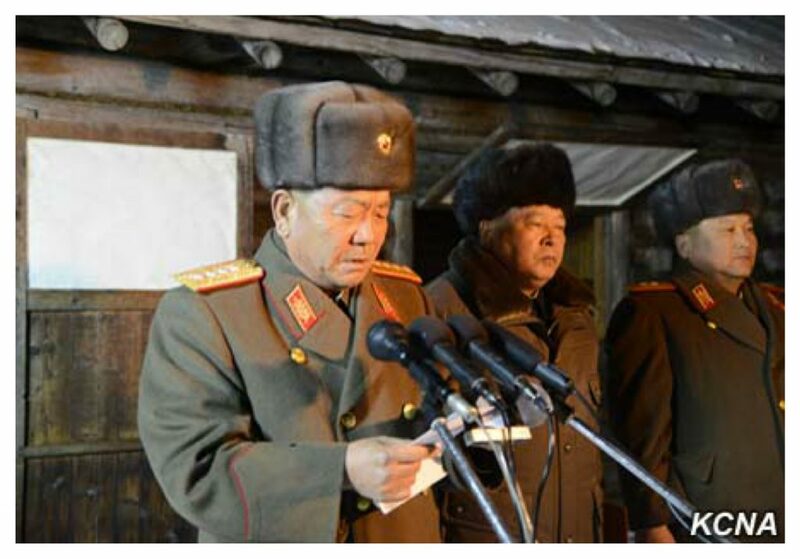 General Pak Yong Sik is Minister of the People’s Armed Forces, the DPRK’s defense minister. He is also a member of the State Affairs Commission, the Workers’ Party of Korea [WPK] Political Bureau, the WPK Central Committee, the WPK Central Military Commission and a deputy to the Supreme People’s Assembly. Pak has held a series of political commissar and command positions in the Korean People’s Army. He was became a general-grade officer as a Major General (sojang) in April 1999. He was elected a deputy to the Supreme People’s Assembly in August 2003. 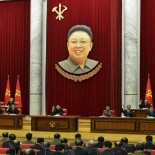 During the 2000s he served as a deputy commander and political committee member of the Pyongyang Defense Command [PDC]. He was promoted to Lieutenant General [chungjang] on April 14, 2009 in a promotions order issued to mark Kim Il Sung’s birthday. 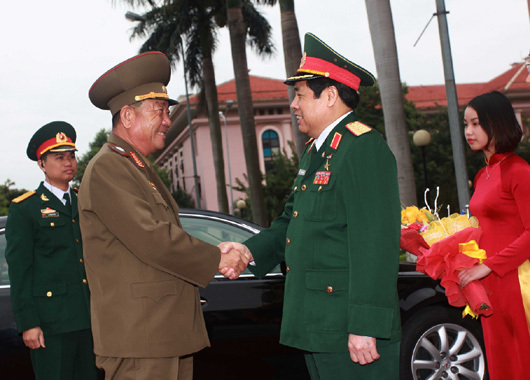 Vietnam’s Minister of Defense Gen. Phùng Quang Thanh (right) shakes hands with Gen. Pak Yong Sik (left) on November 27, 2015 (Photo: VNA). In 2014, Gen. Pak was elected a deputy to the 13th Supreme People’s Assembly. In April 2014 he was promoted to Colonel General (sangjang he was appointed a deputy director of the KPA General Political Department [Bureau], replacing Kim Su Gil who migrated to the party apparatus and became Chairman of the Pyongyang City WPK Committee. He earned his fourth star one year later (taejang). He was appointed Minister of the People’s Armed Forces in June 2015. He led a KPA delegation on a visit to southeast Asian countries in November 2015. Minister of the People’s Armed Forces General Pak Yong Sik addresses an oath-taking and loyalty meeting in Samjiyo’n County, Yanggang Province on February 12, 2016 (Photo: KCNA). Gen. Pak has supervised several organizational changes in the DPRK’s defense ministry, including the migration of several construction and engineering brigades into the MPAF. He was elected a member of the WPK Central Committee during the 7th Party Congress in May 2016. At the 4th session of the 13th Supreme People’s Assembly, Gen. Pak was elected a member of the State Affairs Commission, the country’s supreme power and policymaking body. He supervised rebuilding and relief efforts in North Hamgyo’ng following flood damage in the summer of 2016.